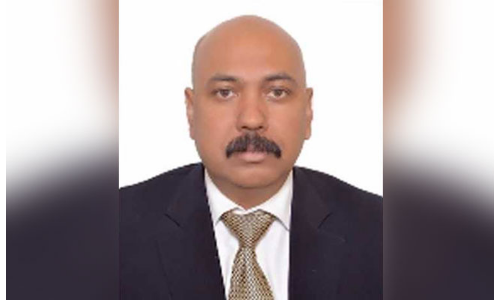 New Delhi: In a sensational development, Rajiv Singh, the Tripura cadre IPS officer investigating the multi-crore Punjab National Bank money laundering scam was repatriated from CBI with immediate effect. The senior IPS officer of the 1993 batch, Rajiv Singh was heading the probe into the sensational Rs 13, 578 crore Punjab National Bank scam involving Nirav Modi and Mehul Choksi both of whom have fled from the country, has been repatriated to his state cadre. The Joint Director of Bank Securities and Fraud Cell (BSFC) of CBI, Rajiv Singh was heading all fraud cases relating to banks. Apart from Rajiv Singh, another senior IPS officer Nina Singh was also prematurely repatriated to her home cadre. Besides Rajiv Singh and Nina Singh, two other CBI officers of Tripura cadre – Anish Prasad and K Gopal Krishna Rao, have also been repatriated. The BJP-led Tripura government reportedly had requested the Ministry of Home Affairs(MHA) and the CBI for premature repatriation of all the IPS Officers to their home cadre following which the curtailment of tenure of the officers has been accepted by the MHA. Earlier today, the Enforcement Directorate(ED) filed its first charge sheet in the PNB fraud case involving diamond merchants Nirav Modi and his associates, officials said. It is learnt that the criminal complaint has only been filed against Nirav Modi, his associates and businesses and the entire gamut of issuance of fake Letters of Undertaking (LoU) by the PNB to his firms in alleged connivance of bank officials. It is believed that the agency would file a second charge sheet against Mehul Choksi, uncle of Nirav Modi, and his businesses. The ED charge sheet, it is learnt, focuses on the money laundering aspect and the role of Nirav Modi and others in indulging in the alleged fraud. Both Nirav Modi and Mehul Choski are said to have escaped from the country before criminal cases were lodged against them. has been repatriated to his state cadre.